Do you have a tooth missing, damaged teeth, a bridge or wear dentures? 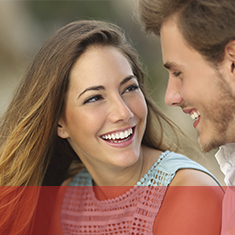 Would you like to get a better smile? Implants might be for you. Dental implants are one way of replacing missing teeth and are one of the longest lasting tooth replacement treatment available. They can fill gaps left by missing teeth and also help support fixed bridges and dentures. They have two parts. The first is the implant – a titanium screw that is placed in the jaw bone. The bone then grows around the implant until it virtually becomes part of the jaw and acts like the root of a tooth. And fixed onto this is the replacement crown part of the tooth. Who will I see for my implant treatment at Redhouse? Redhouse has a highly qualified and experienced principle practitioner Dr Dinesh Phakkey He has a special interest in advanced Implants and Cosmetic Dentistry. He is also a tutor on the Diploma Course in Implant Dentistry at the Royal College of Surgeons of England. He is supported by a team of dental nurses – including Emma, Sara, Sarah and Naomi who are skilled and experienced in the field. The treatment has two stages which are both carried out at the Redhouse surgery. Local anaesthetic is used to numb the area before the precise preparation of the jaw bone where the implant will be placed. Or you might opt for sedation for this stage. Under the gum the bone then grows around the implant to hold it firm. This can take several weeks and needs good oral care. We will assess how well the first stage has gone to ensure healing and bone growth is progressing as it should. When the first stage has ‘embedded’ the replacement tooth (the crown part) is then attached to the implant. This tooth is matched to the current shade of your teeth and will look and function as if it is your natural tooth. We offer a free consultation (usually about 15 minutes) with Dr Phakkey to assess whether implants are right for you. He will answer all your questions, including those around cost. 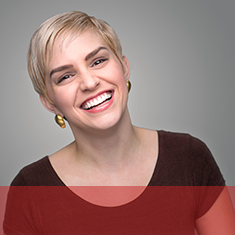 You may be referred to Redhouse by your current dentist or you can refer yourself. Start your journey to a brand new smile!